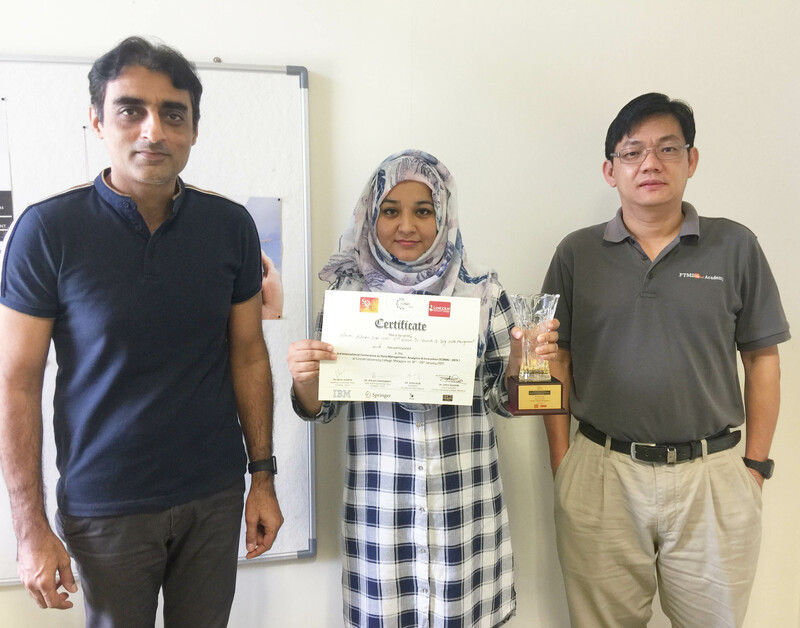 UTAR Faculty of Information and Communication Technology (FICT) Year Three PhD student Kiran Adnan received the 3rd Best Paper Award at the 3rd International Conference on Data Management, Analytics and Innovation (ICDMAI 2019) held at Lincoln University College from 18 to 20 January 2019. Titled “Role and Challenges of Unstructured Big Data in Healthcare” the research paper explained almost 95% of healthcare big data is unstructured and normally they are heterogeneous, complex and has no pre-defined structure or model. There are many challenges to creating analytics from the textual data collected within a healthcare system. When fields are not structured, users can write in any manner they like. The results of healthcare analytics, precision and personalised medicine, disease identification, health and wellness monitoring are affected by the unstructured nature of data. The research article identified the challenges created by unstructured data in healthcare to improve the quality and efficiency of healthcare systems. The research was supervised by UTAR FICT’s Lecturers Ts Dr Rehan Akbar and Dr Khor Siak Wang. Jointly organised by Data Science Society and Lincoln University College, ICDMAI 2019 aimed at bringing eminent academicians, corporate executives, researchers, technocrats and experts from the field of Computer Science, Information Technology, Computational Engineering, Electronics and Telecommunication, Electrical, Computer Application and all the relevant discipline to a common forum for exploring and discussing the technology advances and innovations that play a key role in data management and analytics. The annual international conference envisions its role towards data management as well as analytics and its enhancement through collaboration, innovative methodologies and connections throughout the globe. In this direction, the mission is to deliver and co-ordinate, enact and disseminate research and resources that enhance the impact and growth of education pertaining to the theme of the conference.